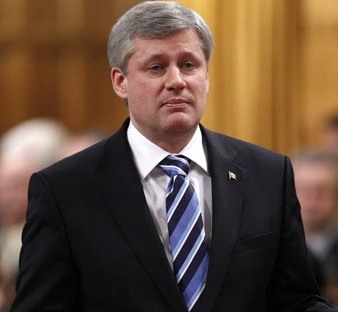 On October 18th, the Harper government tabled its second budget implementation bill, Bill C-45. The first was Bill C-38, a whopping 400-plus page bill tabled March 29, 2012. With these omnibus bills, Harper has made it clear that the rules of the game of governance are changing, and critics agree it’s not for the better. If our parliamentary system is based on certain democratic conventions and principles, such as government accountability through rigorous legislative debate, then our democracy is sick to the core. Our current government, no longer hampered by pesky things like compromise due to minority status, has decided that democratic convention, healthy parliamentary discussion, and proper scrutiny of legislation are not worth the time – too distracting, too troublesome, too inefficient. Stephen Harper didn’t invent the omnibus approach to governance. Omnibus bills have been used in the past to alter legislation that can be reasonably linked together in a common thread. The rationale for associating bills together is so that healthy debate and scrutiny of legislative policy can take place. For if bills cover too wide a legislative area, how is a parliamentary committee supposed to adequately review the bill’s merits? And if a qualified parliamentary committee must be assembled to scrutinize a far-reaching piece of legislation, what expertise should that committee possess: economic, environmental, legal? The breadth of Bill C-45 is unprecedented, not only in its scope, but also in its audacity. At 457 pages, Bill C-45 disregards parliamentary convention on the size of legislative implementation. From 1994 through 2005, the average size of budget implementation acts was 73 pages, reported Aaron Wherry at Macleans. But with Bill C-38 and Bill C-45, the average has risen dramatically to 308 pages since the Conservatives came to power (A rough guide to Bill C-38, June 6, 2012). There goes any respect for parliamentary convention. Bill C-45 contains such a range of legislative changes that it is impossible to grasp how proper debate, scrutiny, and accountability could be managed. The bill alters the Canada Shipping Act, the Fisheries Act, the Indian Act, the Customs Act, the Navigable Waters Act, the Canada Labour Act, gets rid of the Hazardous Materials Information Review Commission, changes the definition of aboriginal fisheries, and more. It seems Stephen Harper agrees with the problematic nature of overreaching omnibus legislation. Or at least he did while in opposition. Here is Stephen Harper in 1994 speaking against what he perceived as the omnibus nature of the 21-paged Bill C-17: “The bill contains many distinct proposals and principles and asking members to provide simple answers to such complex questions is in contradiction to the conventions and practices of the House.” With a difference of over 400 pages between Bill C-17 and Bill C-45, hypocrisy might seem a light term. When a bill encompasses such a diverse range of legislative changes, how are our elected officials supposed to vote on such a bill? If MPs disagree with a certain section of the bill, but agree with another, how are they supposed explain the pros and cons of the bill to their constituents when it covers such a diverse array of issues? Many critics have already attacked the Harper government’s disregard for environmental protection legislation and have remarked with concern the habitual deregulation of the environment in favour of industrial and commercial interests. By stuffing a budgetary implementation bill with a range of legislative changes to environmental matters, the Harper government has made it clear that parliamentary debate, scrutiny, and accountability in these areas are a thing of the past. It is a strange matter for a government enjoying majority status to conceal such legislation within a budget implementation bill, as a majority government can pass whatever legislation they desire regardless of opposition concerns. It should lead Canadians to wonder whether the government is worried more about public outcry and opposition to individual legislation than about efficient legislative implementation. It is an unprecedented and frightening precedent this government is setting. Canada’s democratic governance has reached a new low. Previous Justin Trudeau: A Leader in Waiting?